When it comes to sales, presentation is everything. Make your business stand out from your retail competitors with stunning showcases and custom woodwork by Westwood Cabinets & Store Fixtures. In addition to hardwoods and exotic woods, we also incorporate acrylics, plastics, metals and other materials in our unique commercial cabinets and retail store fixtures. We back all our woodworking projects with a one-year warranty. At Westwood Cabinets & Store Fixtures, our mission is to provide one-on-one service to our valued customers. 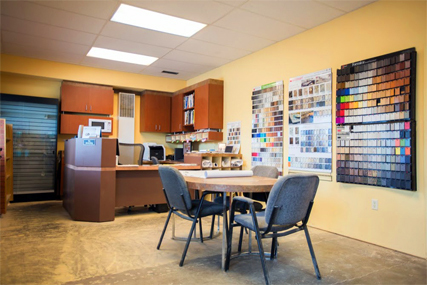 In order to create the custom cabinets and store fixtures you need to enhance your commercial space, we take the time to understand your needs and project specifications. We provide free consultations and quotes for custom woodworking projects. Unlike many commercial contractors, we respond to your inquiries. When you call, you will speak to one of our seasoned woodworking professionals. Westwood Cabinets & Store Fixtures is a family-owned and operated business that wants to help your local Albuquerque, NM retail business succeed. We can help you visually brand your retail space with custom woodworking, display cases and other store fixtures. Contact us to start the design process today. Contact Westwood Cabinets & Store Fixtures to customize your commercial space with one-of-a-kind cabinetry, display cases and more!